Sleeveless striped azure shirt and ruffles on the collar. 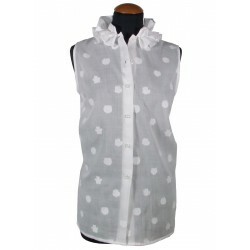 White buttons and buttonholes. 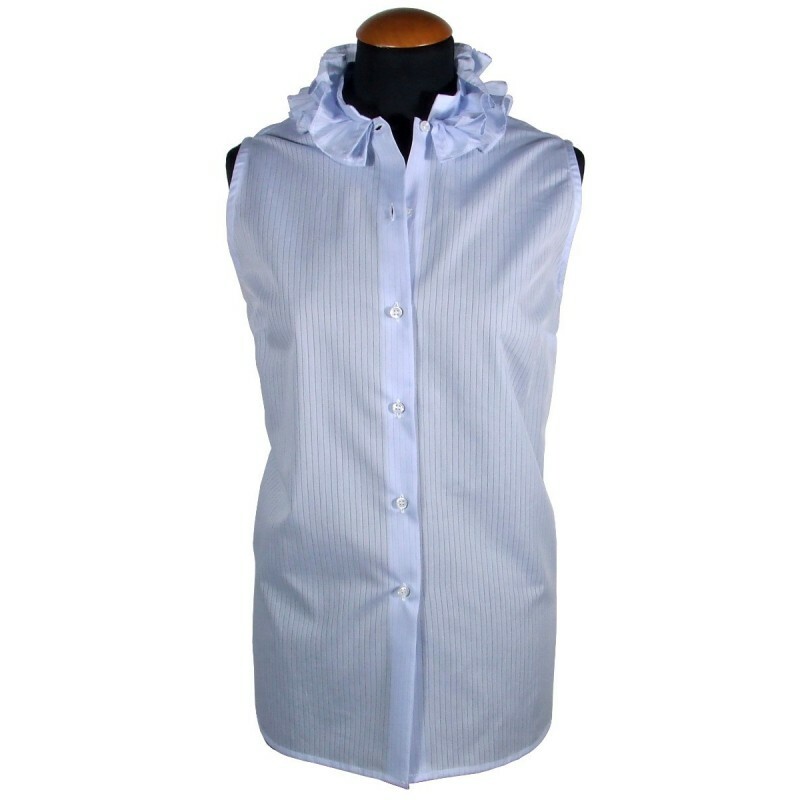 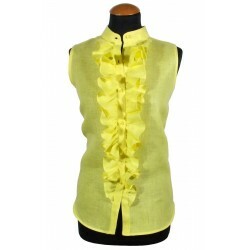 Women's azure sleeveless shirt with striped and ruffles on the neck. White buttons and buttonholes.